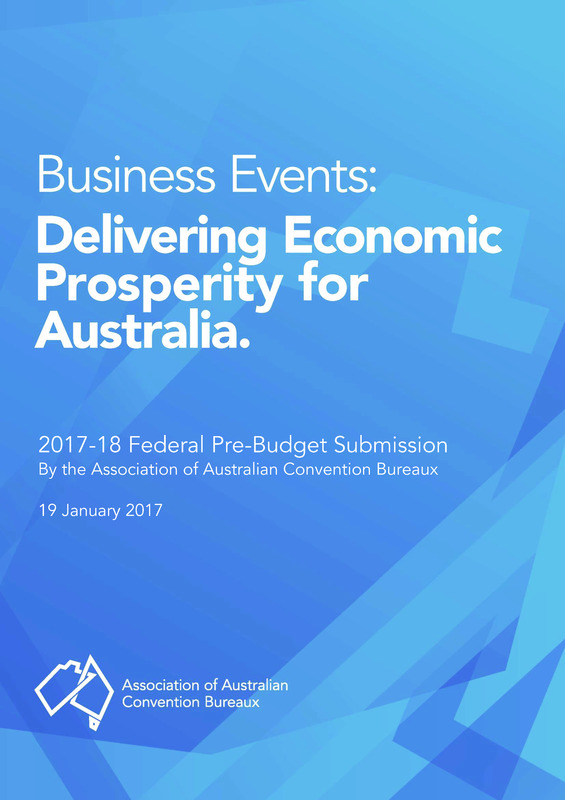 The business events segment of the tourism industry can help grow the Australian economy with the assistance of a series of targeted public policy measures, according to the Association of Australian Convention Bureaux (AACB). The policy proposals are contained in the 2017-18 Pre-Budget Submission of the AACB, the principal representative body for the business events industry. “The latest industry analysis of bids by Australian cities to host international conventions, exhibitions, incentives and meetings showed convention bureaux have secured 360 international business events across the forward calendar,” said the CEO of the AACB, Andrew Hiebl. “However, over the course of the next decade, Australia has missed out on 235 bids, with the estimated lost business of this being $805 million in direct delegate expenditure. “Major reasons for this lost business include superior financial packages being offered by other nations and the high overall cost of hosting a business event in Australia. “Hosting more business events helps to build a stronger, more productive and diverse economy because such events are platforms for attracting trade, foreign investment and global talent. “International conventions also have a role to play in the nation’s renewed focus on innovation, science and jobs of the future. More effectively promote Australia as a knowledge economy by conducting a dedicated $10 million business events marketing campaign. “The business events industry is certain that if these policy proposals were to be adopted and implemented, there would be a high rate of return on this investment,” Mr Hiebl said. “On an annual basis, over 37 million people attend more than 412,000 business events across Australia, generating more than $28 billion in direct expenditure and almost 180,000 jobs.